What can you do when you need to see your doctor, but time is scarce and your home or job is an hour’s drive from the provider’s office? How about a video chat from your desk at work during your lunch break using your laptop, tablet or smartphone? The growing practice of telemedicine can make that happen. Telemedicine is an overdue mode of care delivery that most Americans today are ready and willing to embrace. Another term, telehealth, is often heard as well. Telehealth is a broader term encompassing remote heath care and information services provided over a distance, whereas telemedicine refers more specifically to clinical services and education provided from one site to another. In December, American Well®, the nation’s largest telehealth operator, engaged Harris Poll to complete its 2015 Telehealth Survey of US consumers ages 18 and older. 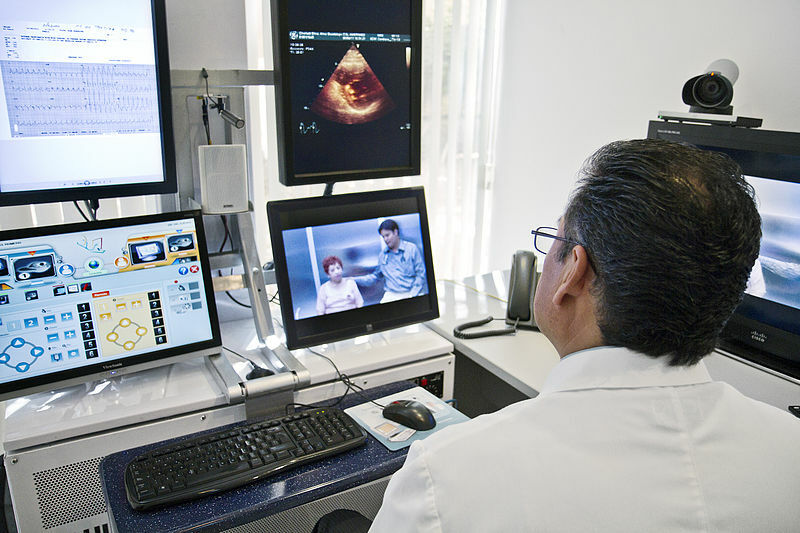 They found that 64 percent of Americans are willing to use video for physician visits. Another group, The Affiliated Workers Association, did a study a few years back and reported that more than 36 million Americans have already used telemedicine in some way. And that was in 2012! Think of how those numbers have grown since then, as more employers are adding a telemedicine component to their employee benefit plans. Convenience is an obvious advantage of this practice. Being able to consult with your doctor from the comfort of your home or office is a no-brainer. This is a great way to handle those regular appointments for things like medication management or for getting a referral, prescription refill or advice on a symptom that has suddenly made an appearance. As long as touching the patient isn’t required to make the diagnosis, most any condition can be dealt with through a telemedicine visit. Also, when it’s easier to see a doctor, you’re more likely to do it. That’s like two benefits in one: improved access and increased compliance. Telemedicine makes it possible for more people to see a doctor to get care and then get the follow-up appointments they need to ensure their treatment plans are working. And if the provider is watching your progress, you’re more likely to follow doctors’ orders! As for health care costs, one of today’s hottest topics, telemedicine is a cost saver in several ways. On one hand, it saves providers money because it is a more efficient way to deliver care. On the other, it saves insurers and patients money because physicians often charge less for a telemedicine visit than an in-person visit. There are the savings on travel expenses, too, especially for those patients who live a long distance from their doctors. Before you key up your next doctor appointment, consider that there are a few drawbacks of the telemedicine approach to care. As mentioned earlier, providers are limited in some cases because they cannot touch the patient. And because the patient is not actually in the room with the provider, the provider might miss out on some critical non-verbal cues that might help put perspective on the patient’s illness and emotional state. Other issues can also negatively affect the use of telemedicine. For one, it is bound by the limitations of the technology. Something can go wrong with the electronics, such as a power outage or lost internet connection. An even bigger hurdle to jump might be the resistance by many doctors who just aren’t comfortable using technology in their practices. Hopefully, this will change and more physicians will explore the options available to them and their patients through services like telemedicine. For more information about this growing trend in care delivery, see this American Telemedicine Association website. Log on!